Squirmy the Worm is worried about his tomato plant, but he soon discovers that he doesn't have to worry. He learns that God takes care of the birds and he will take care of us. We can be at peace knowing that he loves us and provides for us. Your children will enjoy coloring a peach picture with peach Kool-aid paint. They can also make bird puppets that can be used in a relay race during activity time. They will also enjoy playing a fun flash card game in which they wiggle like a worm, and make mini cheesecakes with fruit topping. A complete lesson is available to members on The Resource Room and as an instant download. Instant Download NIV Bible Lesson - $2.95 - Includes everything on this page. 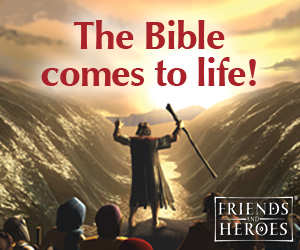 Instant Download KJV Bible Lesson - $2.95 - Includes everything on this page. You can use this pattern as a poster for your bulletin board or as a coloring sheet. Use Peach Mango Kool-Aid Mix to make paint. Add a few tablespoons of water to the mix and have your children paint it onto the picture after coloring it with colored pencils. 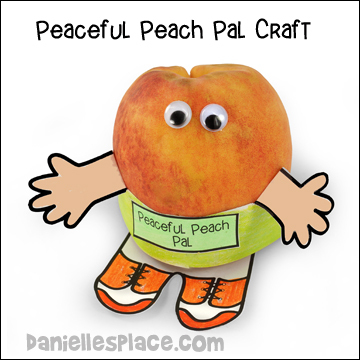 Peaceful Peach Pal helps children remember their Bible verse. When children remove the peach from the paper body to eat it they will be reminded of the Bible verse that is on the inside of the pattern. 2. In class have your children color the patterns. When they are done coloring place a peach on top of the feet part of the pattern and fold up the back part. Bring the side up and around the peach as shown in the picture. 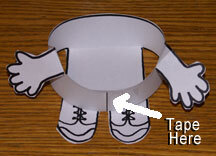 Tape the two ends together in the front, over the feet part of the pattern, to make a circle. 3. Tape the ends together to fit around the peach. Place the peach in the circle and fold down the arms. 4. Glue the "Peaceful Peach Pal" sign on the front of the peach. 5. Use flour and water paste to glue on the eyes. If you have younger children use raisins for the eyes. 1. Before class print out the pattern and make copies onto card stock. 2. Using pointy scissors cut around the edge of the patterns and then the circles in the peach shape. Before class mix powdered sugar with cream cheese with an electric mixer to taste. In class have your child place vanilla wafers in muffin liners. Let them add the cream cheese spread to the top of the vanilla wafers. Then add a tablespoon full of cherry pie or peach pie filling. 1. 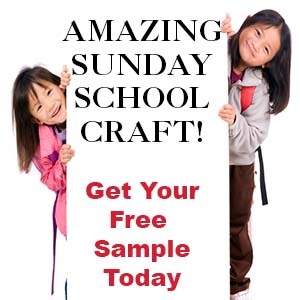 Before class print out the cards onto card stock. 2. In class hold up the cards one by one and review each fruit and the Bible verse that goes along with the fruit. Talk a little bit about each fruit. 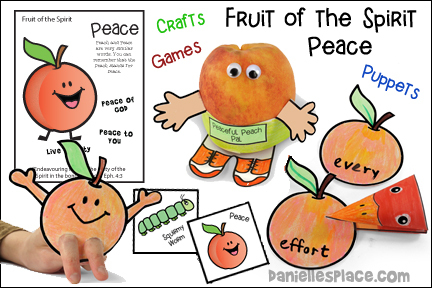 Tell your children that you are using the peach to represent peace because the words sound a lot alike. 3. Then tell your students you are going to play a game. They will shout out the name of each fruit and then the Bible verse. If the worm card is shown, they can wiggle like a worm until the next card is shown. 4. Once they can say all the verses, you can use movements instead. For instance, if you hold up the peach, they can make the peace sign with their fingers. For the cherry they can jump up and down and shout "hooray". For the apple, they can draw a heart in the air with both hands or cross their arm over their heart for love. 1. Before class cut up apples, cherries, and peaches and place them in plastic containers such as film canisters, and punch holes in the lids. Make the containers look different so the children can tell them apart. For instance, you can wrap red tape around one. 2. In class review the three fruit of the spirit that they have learned so far. 3. Use the apple, cherry, and peach cards from the flash cards. Print out enough so each child will have one. 4. Place the cards in the middle of the floor, picture side down. 6. Tell your children not to tell each other what they think is in the canisters. 7. When all the children have had a chance to smell the containers, have them stand in a circle around the cards on the floor. Tell them to each pick up a card, look at it, and go stand by the canister they think matches the card in their hand. When everyone has picked a canister, tell them what is in it and ask them if they picked the correct one. 1. Before class print out the peach shapes and cut them out. 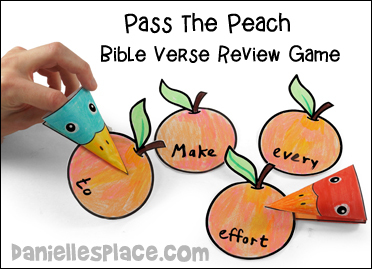 Write the Bible verse on the peaches, one word per peach. Make a set for every five to six students. 2. Prepare the bird finger puppets if you didn't use them for the opening activity. Make one for each students. 3. In class divide your children up into teams of four or five and have each team stand in a row side by side. 4. Place a set of peach verse shapes on the floor in front of each team. Mix up the peaches before you place them on the floor. 5. Have the first children in each row pick up a peach and place it in their bird's beak. The first children in line should then pass their peaches to the second children in line using only their puppets. 6. Have the teams keep passing peaches until all the peaches have made it to the end of the line. The team that finishes first wins. The child at the end of the line has to place the peaches in order to spell out the verse. Make a Fruit of the Spirit Lapbook to go along with these lessons - 1+1+1=1 Blog has a picture and directions on how she made a lapbook using the printouts from these lessons.